Keep it safe with plastic containers. This 41 oz. flair top container with a threaded lid is the best way to keep your candies, toys, hardware items, and more from spilling all over the floor. The threaded mouth of this round container holds lids securely in place, ensuring your product will stay inside. 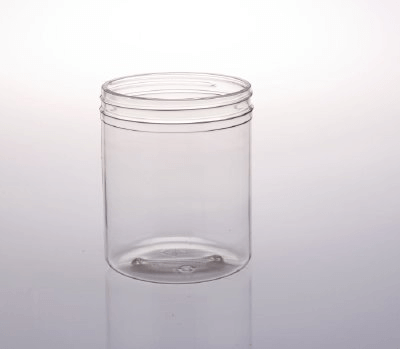 Plastic jars are an economical way to store your merchandise. The shatterproof design means less mess and accidents especially when little ones are near. Clear plastic means that you can easily see and locate merchandise. Get yours today at All Candy Containers.